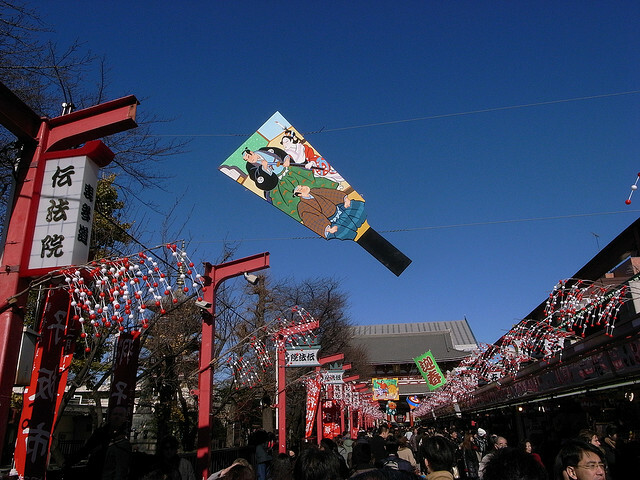 This is one of the famous seasonal views of December in Asakusa, Tokyo. Something with lovely painted design is floating in the blue sky! That is called hagoita. 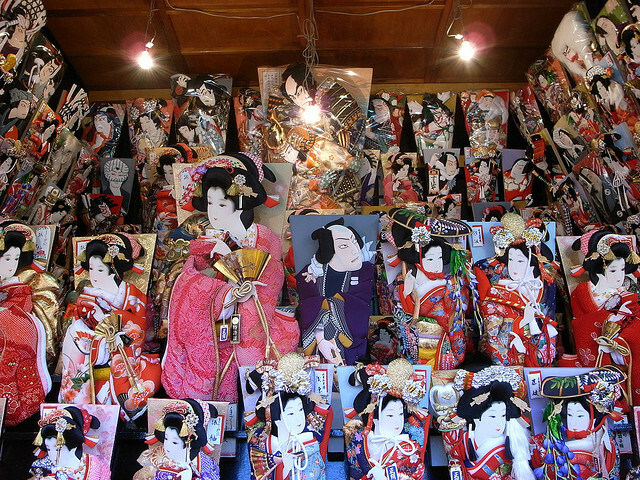 Since the Edo-era, the annual hagoita market has been held from Dec. 17 to 19 in Asakusa. Hagoita are wooden paddles originally used to play hanetsuki , the kids’ game just like badminton, at new year’s time. Children rarely play hametsuki these days, but still the decorative and artistic hagoita attract people. These hagoita look very expensive. Speaking of the price, it varies. Small simple ones are maybe around 3,000 yen (US$35). Popular ranges are 10,000~20,000 yen (US$120~240), and some huge elaborate ones cost over 500,000 yen (US$6,000)! However, hagoita are the bringers of good luck, so this is a consideration in a buyer’s mind. People sometimes ask for a discount and also sometimes give extra as a monetary gift to the seller. It sounds interesting, doesn’t it (^o^)?